The creation of the alliance is the latest effort to enhance regional cooperation against militants. Australia and Southeast Asia have joined forces to choke financing for militant networks, Australia's justice minister said Wednesday, amid recent concerns about the Islamic State group gaining a foothold in the region. IS militants seized the southern Philippine city of Marawi in May, a move Philippine officials and analysts say was part of the group's plan to establish a base in the region. 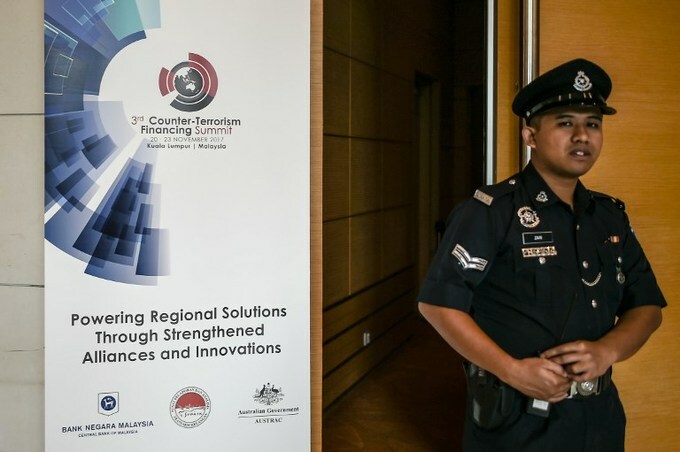 The new alliance aims to disrupt the funding of militant groups through enhanced financial intelligence sharing, Australian Justice Minister Michael Keenan said on Wednesday in Kuala Lumpur, where he is attending a counter-terrorism conference. "The stability and security of Southeast Asia is of critical importance to Australia," said Keenan, who also assists Australian Prime Minister Malcom Turnbull on counter-terrorism issues. Canberra "is committed to defeating the threat posed by terrorist groups, including ISIL, in the region," he added, referring to IS by another name. Dozens of Australians were killed in a militant attack on the Indonesian resort island of Bali in 2002, one of the worst such attacks in the region. Keenan said under the new initiative -- endorsed by representatives from across the region -- participating states will "directly target and disrupt the funding lifeline of terrorist groups" by denying them access to the international financial system and other sources of funding. Australia's financial intelligence agency AUSTRAC and the Philippines' Anti-Money Laundering Council will lead the group. The creation of the alliance -- named the South East Asia Counter Terrorism Financing Working Group -- is the latest effort to enhance regional cooperation against militants. Earlier this year, Australia sent two Orion aircraft to provide surveillance support to Philippine troops in their bloody five-month battle with militants to liberate Marawi. Australia has been sharing intelligence with some Southeast Asian countries for many years but those arrangements need to be institutionalised, Keenan told reporters on Wednesday. "We all know that the key weapon that we have in this war against terrorism is information. And ... we must find ways that it is shared seamlessly and shared in a timely way."